I currently live in a beef county, which means I do eat beef very often these days. I do grill steaks often with beef, roast sometimes, and simmer stews occasionally. But when it comes to the moment that I have to make a dinner in a hurry, I always look for one cooking method that I prefer. 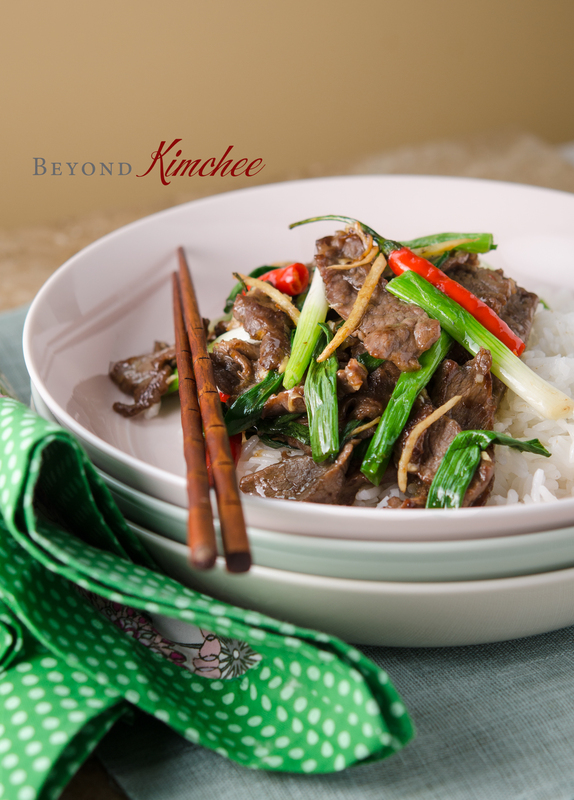 The tender juicy beef slices paired with vegetables in the flavorful sauce…, yes, I am talking about beef stir-fries. 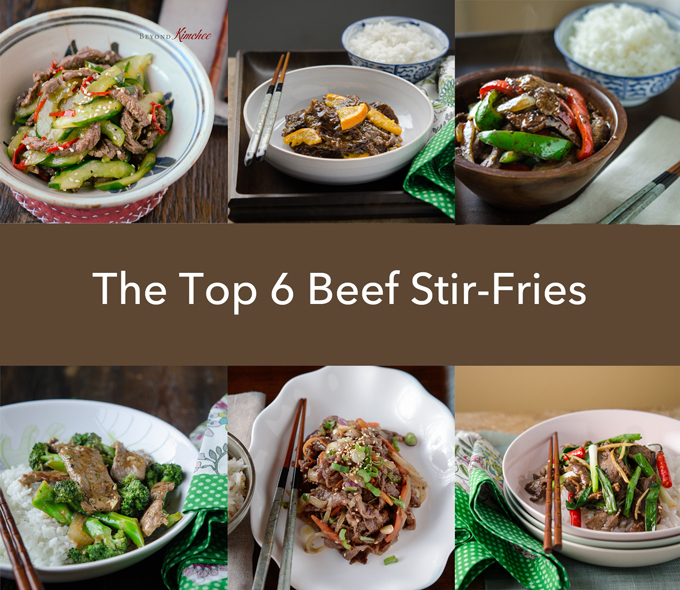 Here are my top 6 quick beef stir-fry recipes that I posted in my blog. Most of them are super easy and can be prepared less than 30 minutes. 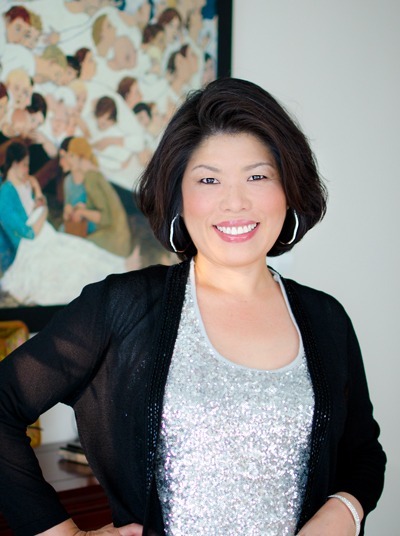 These are tried and true recipes that my family endorsed and many of my readers loved. If you never tried cucumber in a stir-fry, you should. You will love the crunchiness of cucumber with tender beef. This is one of my go-to recipe when I only have 15 minutes to make dinner. With only 2 main ingredients, you will get a scrumptious meal ready for you. Therefore this is perfect beef stir-fry recipe for warm days, or any days. My take on the ever popular Chinese orange beef! People who have tried the recipe raved. 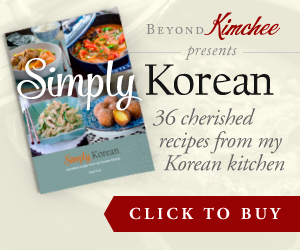 I posted this recipe in a Korean community column, and it became a huge hit. You will love the simple method to create crispy beef smothered in orange sauce made with fresh orange juice. 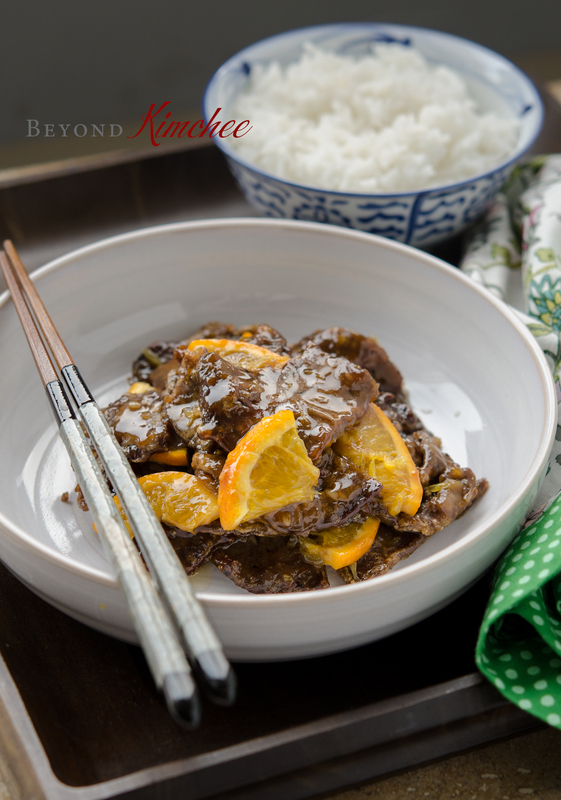 If you like a sweet and savory dish, this orange beef will be adorned by both young and old. Black Bean Sauce is one of my favorite Chinese sauce I like to cook with. 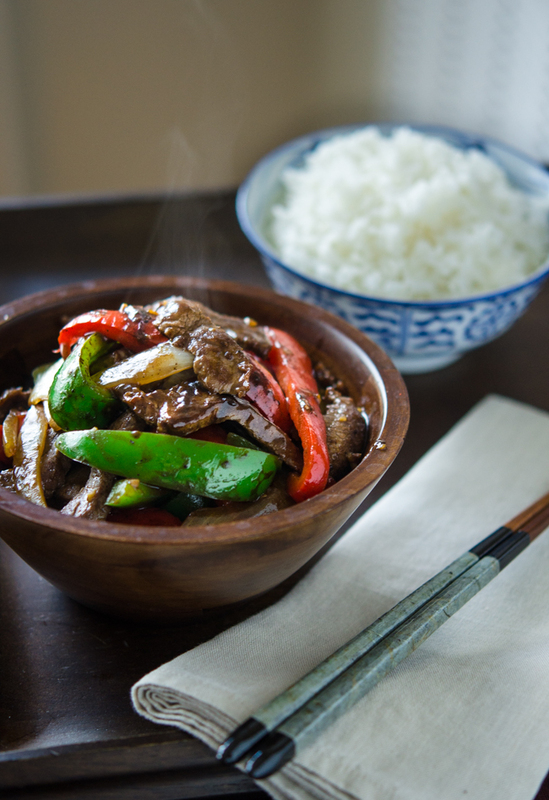 Tender beef paired with crisp sweet peppers in mouth-watering black bean sauce! You gotta make sure to eat this stir-fry when it is popping hot to enjoy all the greatness. This is one of the quickest stir-fry dish that can be made in about 15 minutes or so. So good~! Tender savory Korean beef called “Bulgogi (불고기)” is paired with banana. 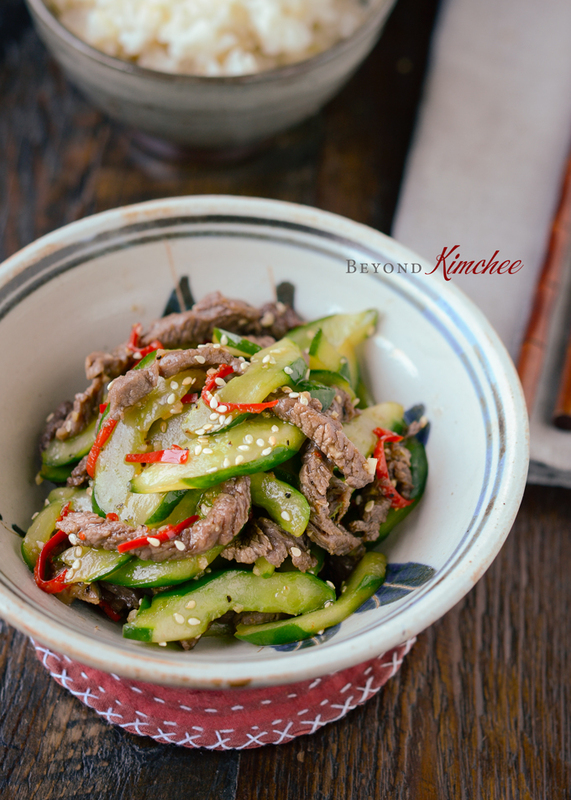 This modern twist on authentic Korean beef may sound weird but it is amazingly tasty. 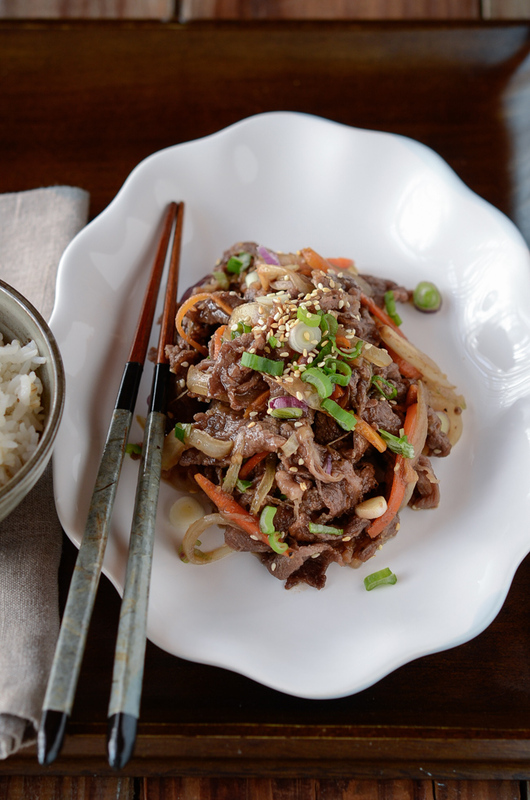 Although the traditional Korean beef requires many hours of marination, you can cook this one fairly soon with this recipe. This is perhaps one of the most popular Chinese take-out dishes. A classic! It seems like there are gazillion recipes out there, but I hope you can try my version. If you like gingery flavored stir-fries, this one is for you. Tender beef stir-fried with fresh ginger and green onion. 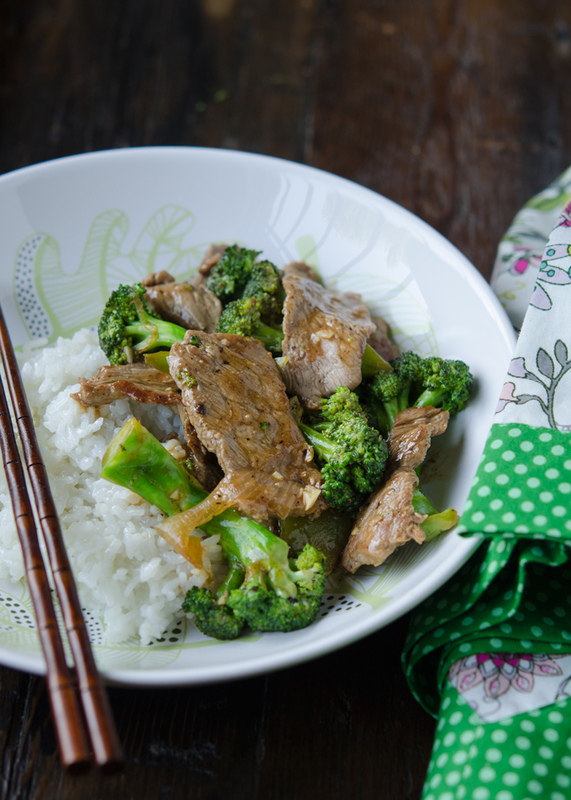 This is another of my go-to beef stir-fry recipes that I cook very often. I love all the flavors mingled in one dish. Quick, delicious and good for you. All these scrumptious beef stir-fry dishes makes me feel hungry now. I have some beef sirloin in my freezer and I am going to thaw out and make a stir-fry for dinner tonight. Just need to decide which one. Hope you find a dish you love and give it a try. You won’t be disappointed. What a great roundup of quick stir-fries. Love cucumbers in a stir-fry, so that's the one I want to try first. Thanks! Oh i love this article, there really is a lot you can do with stir-fry! There is no wrong way!